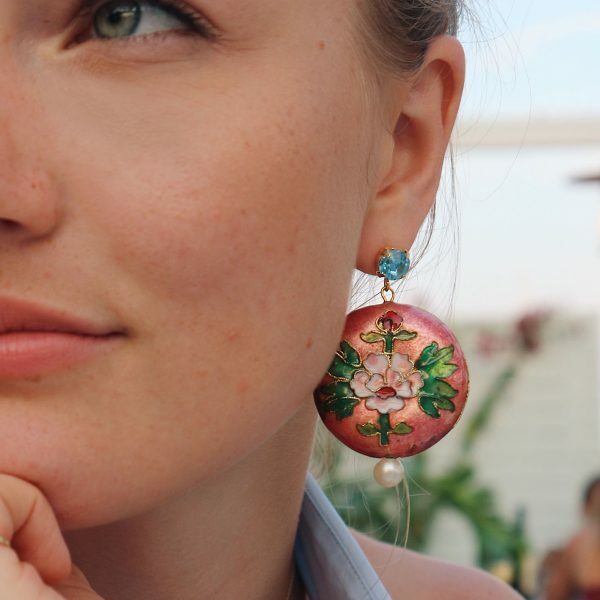 A classic beauty, that is how we describe these brown crystal pearl earrings. 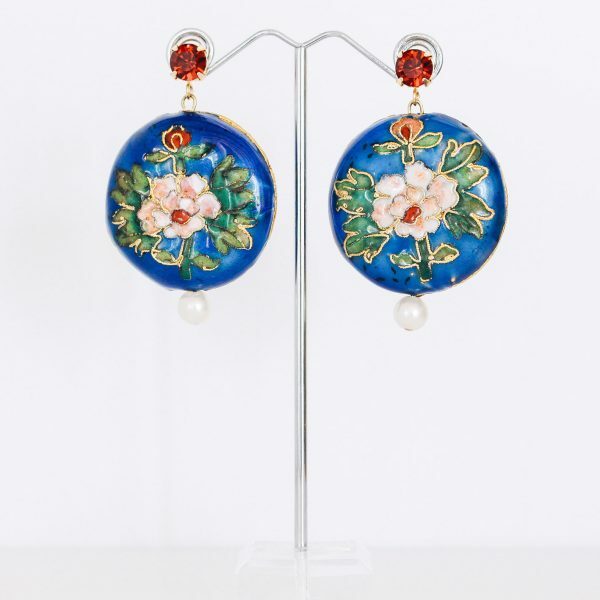 Perfect for everyday wear and cheer up any outfit, but especially perfect for a super festive Holiday season! Is there something we can wear all year long and cheer up any outfit with? Is fashionable, yet classy at the same time? Festive yet casual? Yes, pearls! 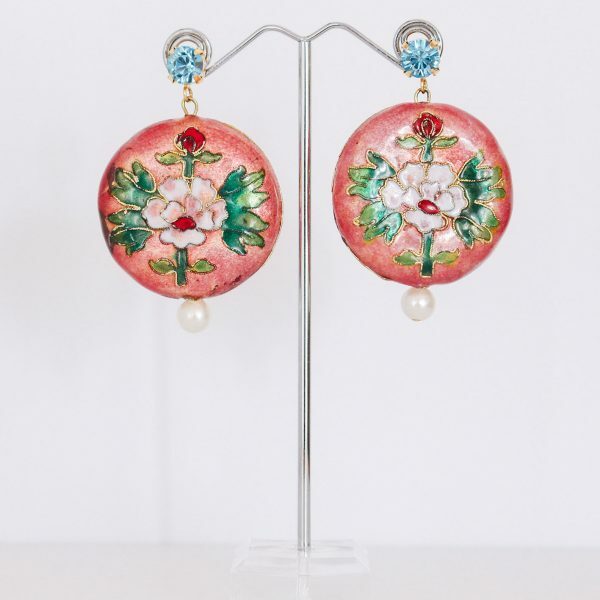 At Je Suis Flore we love pearls and that is why they are a big thing in our collection. 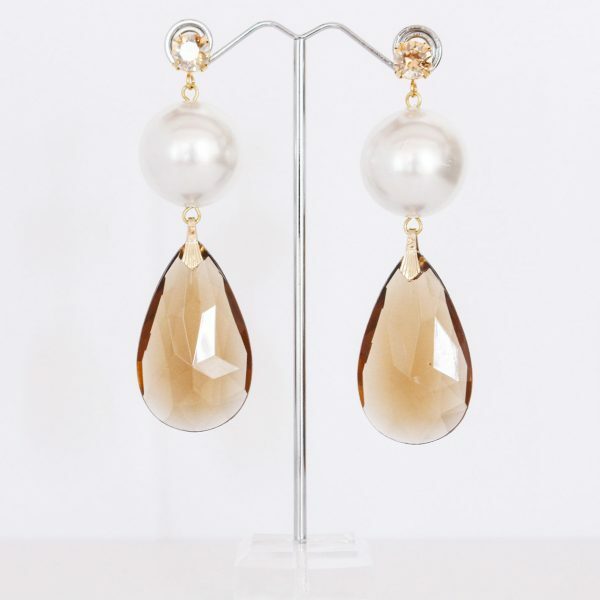 These brown crystal pearl earrings with champagne colored Swarovski stones are definitely one our bestsellers. A style you will never get bored of and can combine with anything and everything. With a disco light playing on your face, the crystal will shine bright like a diamond and you will be the star of the dance floor. But, it will also cheer up any boring business outfit you have to wear to work. Or give life to your too-cool-for-school-look. 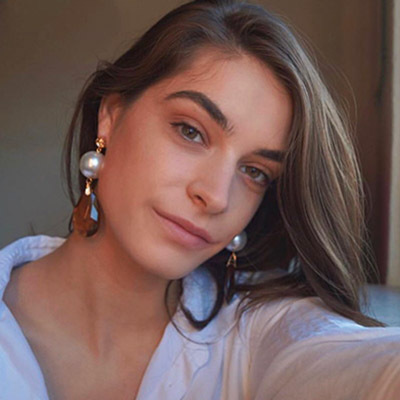 Either ways, our crystal pearl earrings are a must you should have! Also try the grey versions to get a little variety in what you wear! The first collection of Je Suis Flore is called ‘Florentine‘. This is an ode her mom, Clementine and the nickname she always gives Floortje; Florentine. It is also an ode to summer. 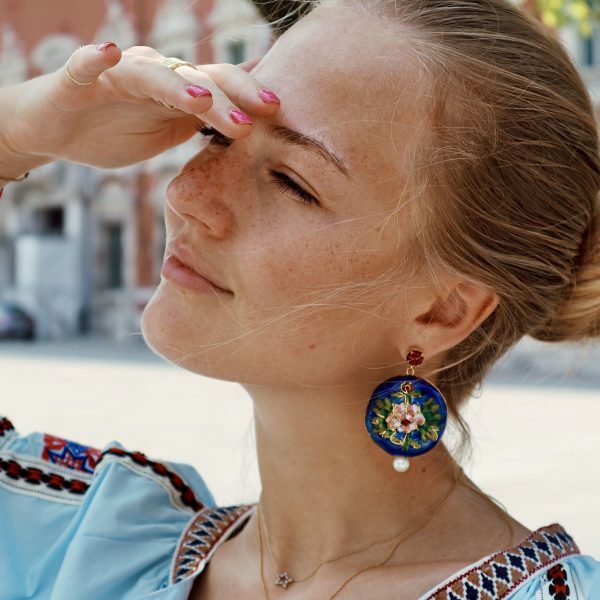 No matter if you enjoy the French Riviera, the Italian coast or a holiday at home; the jewels are made to wear as a statement and cheer up any outfit.